• The aspect of your property and surrounding area. 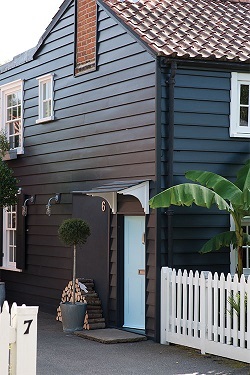 • Consider the period of your property and the style and colour of neighbouring buildings; in particular, whether you wish to create a complementary or contrasting scheme. • Look for dominant features like brickwork, natural wood and expanses of other colours such as paved or gravelled areas, lawns, fencing, shrubs and even flowers – all of which can affect colour choice. • When decorating outside, you can usually go a shade or two darker than you would inside because you mostly see exterior colours in daylight. If you are considering using Slipper Satin try Off-White, or Pigeon instead of French Gray. 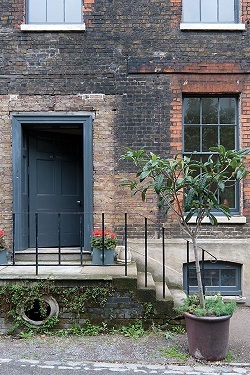 • To create a flow between the interior of your home and the exterior, use the same colour outside on a garden wall or a piece of furniture to help connect the two spaces together. 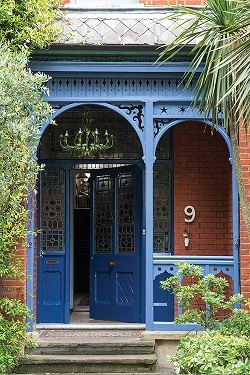 • To make a feature of your entrance, paint your front door and frame in one colour to help make it look bigger and more imposing. 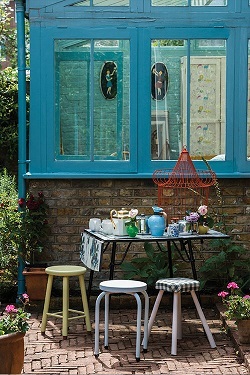 • Layer colours outside just as you would inside to create added interest. 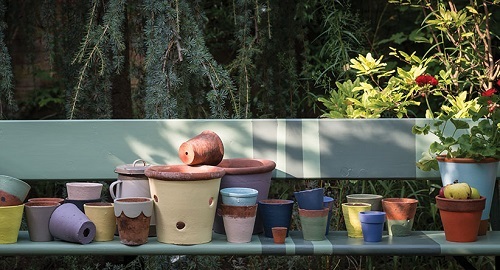 Try using a mixture of colours on garden furniture such as Mizzle on chairs, with a table top painted in Old White and table legs in Mouse’s Back.